What’s your favorite Jimmy Buffett tune? Margaritaville? Come Monday? Fins? Whatever it is, get that tune ringing in your head… Now put yourself on a long-stretching wooden boardwalk, raised a full story up off the ground with white sand and clear blue-green water below your feet. You stroll along the boardwalk, checking out the unique shops nestled to your left, and you take in the beautiful shining water to your right. Smiling new faces greet you with a nod as you continue your sojourn on this perfect bright, sunny day. Your attention is drawn to the shining water as dozens of dolphins jump and play as mama dolphins teach their babies how to catch their first meal. With your attention fixed on the water, you glance down, over the railing of the boardwalk, and you see a flock of pelicans anxiously awaiting the next fish to be tossed their way by a friendly fisherman cleaning his fresh catch. 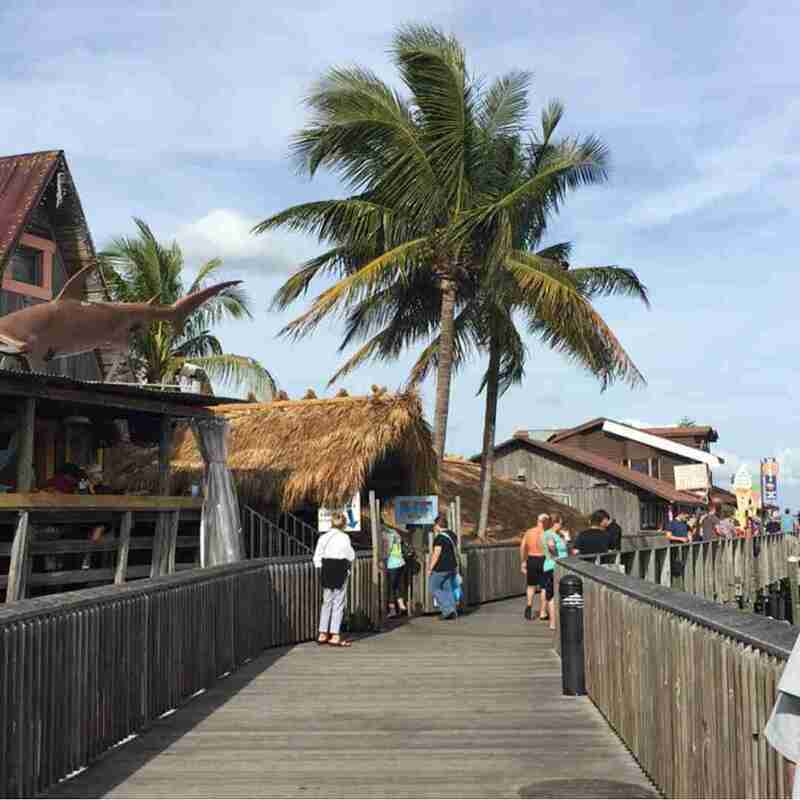 You reach the end of the boardwalk, and take a deep breath, a breath that fills your senses with the savory scent of blackened grouper and the relaxing smell of fresh salt water from the Gulf of Mexico. Gazing out across the water, you see a couple of happy visitors taking some time out from their paddleboarding excursion to rest on the the sandbar in front of a thicket of mangroves off in the distance. As you turnaround to head back, the massive John’s Pass draw bridge raises up to let a sailboat stroll out into the Gulf of Mexico. Not a bad way to spend a half hour of your day to re-charge the batteries. Too bad I have to go back to work.